Ibiza weather has a very mild and pleasant climate, which drew throughout years from nobles to artists, from businessmen to hippies, and travelers of all ages. 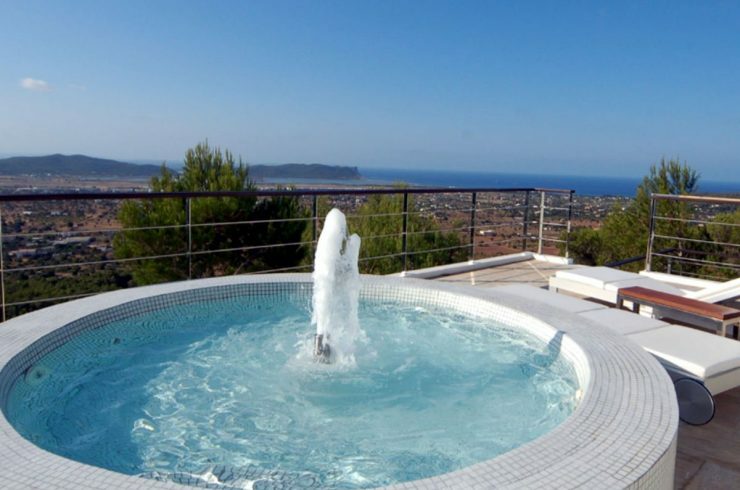 Come along to enjoy the Ibiza weather… in your Ibiza Villa! Contact us for further information! 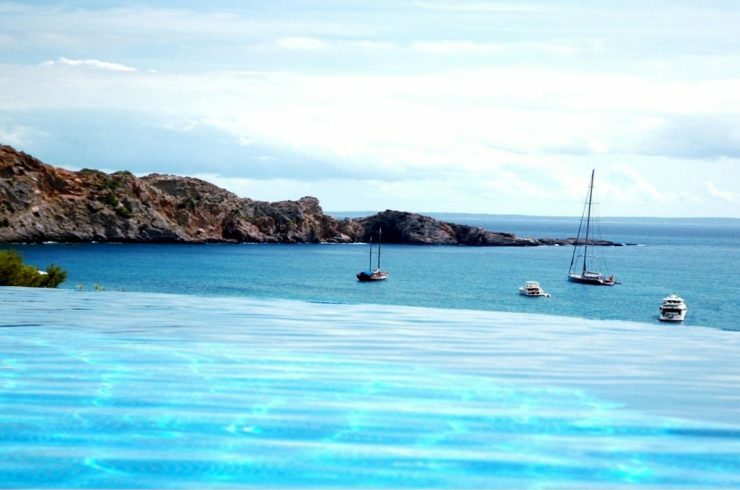 Ibiza has a Mediterranean climate, enjoying long hot and dry summers and mild winters. Ibiza weather is famous for its perfect beach temperature with hot summers of plentiful sunshine. The Ibiza weather allows growth of lush Mediterranean vegetation: vineyards, olive trees, lemons, oranges, palm trees, cypresses and oleanders. The Ibiza weather has a climate which is influenced by the Mediterranean sea. The warm waters of the sea indeed contribute to make Ibiza weather mild and very pleasant during the whole year. Contact us for details. The Ibiza weather, thanks to the Mediterranean sea, helps the wonderful landscape to be rich in intense aromas throughout the territory. Step away from the boozy streets of Ibiza, San Antonio and other large towns, you will find a magical island, designed by a gentle Ibiza climate. 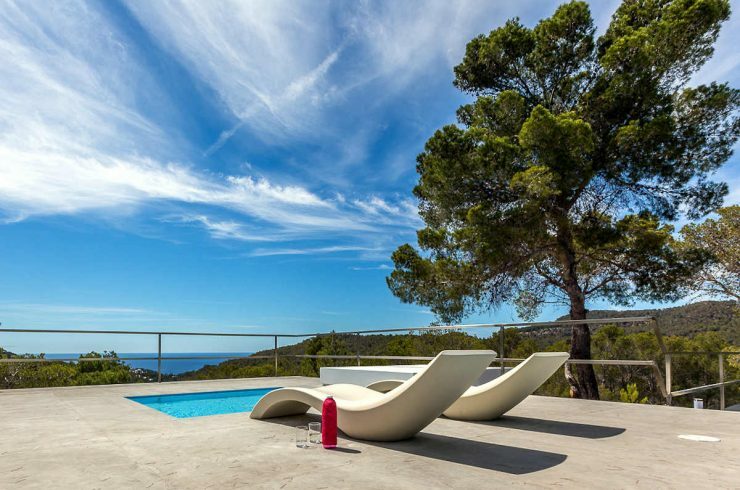 Everywhere in the island there are peaceful landscapes and mild Ibiza weather. In spring the Ibiza weather is cool and you can spend your nights partying and enjoying Ibiza’s famous nightlife and your days sleeping it off on the beach. The Ibiza weather is perfect for such a holiday, but be aware that the sun’s rays can be strong and it is easy to get sun burn, heat or sun stroke-all of which can put a serious damper on your holiday! Ibiza weather has long glorious summers which are what made the island famous (together with its all night parties!). From June to September the sun shines every day in Ibiza, peaking at an average of eleven hours of sunshine per day in July. Temperatures get into the high 20s to low 30s during the day, sitting at an average of 26°C in June and September but reaching 29°C in July and August. Basically, the weather is glorious. The nights are warm too, with temperatures barely falling below 20°C. In autumn the Ibiza weather remains warm, making it a great time to visit Ibiza, although your chances of encountering rain are increased. Even in October, on the island of Ibiza daytime temperatures are often in the mid 20s, with an average high of 23°C!!! In November the Ibiza weather begins to cool down, but with an average high of 19°C you can still expect pleasant heat on many days at the start of the month. 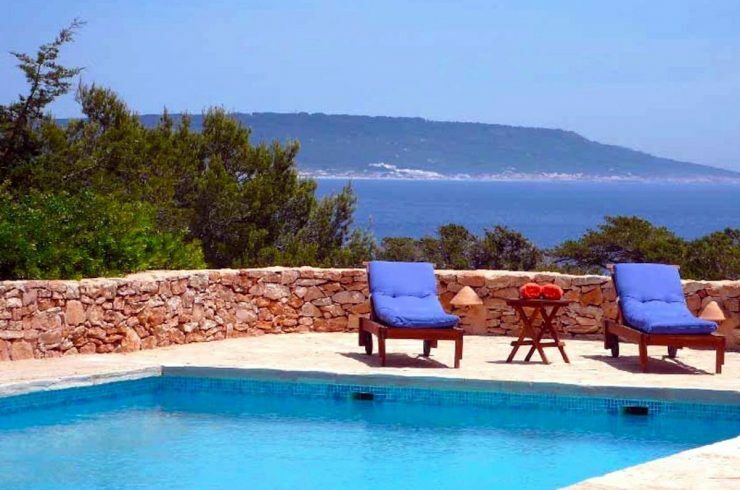 But you may need some warmer clothes for the evenings as the Ibiza temperature can drop down to around 10°C. The Ibiza weather, with its thermal winds, attracts all year round windsurfers and sailors from all over the World. But, windsurf and boat lovers should not underestimate the Ibiza weather, which can be spectacular and dangerous like every other sea. Contact us for further information! The northern coast of Ibiza and the Balearics Islands is dominated by the Serra de Tramuntana (Mountains of the North Wind), which is one of the most typical northern winds of the Ibiza weather. On the Ibiza island instead from south comes a wind named “Scirroco”, which regularly blows in summer. The Scirroco wind, like other Ibiza winds, make ideal the Ibiza weather conditions for navigating and sailing. Ibiza weather has wind speeds average 9 knots from March to August, and from September to March the winds hover at around 8 knots. Contact us for details.